This work is licenced under a Creative Commons Attribution-Noncommercial 2.5 Licence (Scotland). See About this Site: Copyrights for details. Built 1948, BR Derby, Diagram 2125. 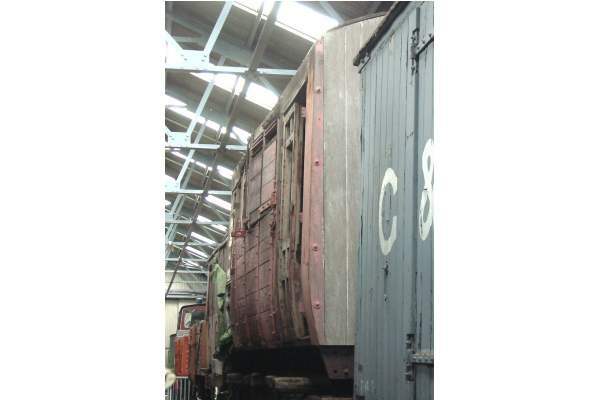 The remains consist of a body frame still mounted on its underframe. The vehicle was built with a small passenger compartment, with electric light and steam heating, so that a groom could accompany the horses. Please use the Feedback Form to offer questions or comments about this website.